Jane shared the stage with Richard Gere, Jessica Harper and the late Vicki Sue Robinson (Turn The Beat Around) in "A Long Time Comin' A Long Time Gone" written by Richard Farina. Jane's portrayal of Joan Baez (Richard Farina's sister- in-law) was another dramatic success for her. Her reviews were outstanding. Jane was featured in an innovative jazz musical, "Sambo", written by Ron Steward, for Joe Papp's New York Shakespeare Festival Theatre. This show was a part of the Jazz Mobile Theater that performed throughout the five boroughs of New York City. The all star orchestra featured many legendary jazz musicians such as, Woody Shaw, Hal Vick and Freddie Waites to name a few. In addition to stage appearances, some of Jane's recording career consists of singing solo and background for National commercials. A few of her most popular "jingles" for TV and radio are: Bain de Soleil, Chevrolet's "Heartbeat Of America", Freedent Gum, Hawaiian Punch, and Stetson Cologne. Many of these were sung in groups consisting of Jane with Valerie Simpson, Patti Austin, Leslie Miller, Shawn Colvin and Vivian Cherry. Jane also sang on "Could It Be Magic" from Barry Manilow's first album. One of Jane's favorite performances, to be added to the list of many clubs and concert halls, was when she was part of the opening act for the great Sid Caesar at the renowned Rainbow Room in New York City. This act was comprised of Kathe Green (daughter of composer Johnny Green) and Grammy winner K.T.Oslin. 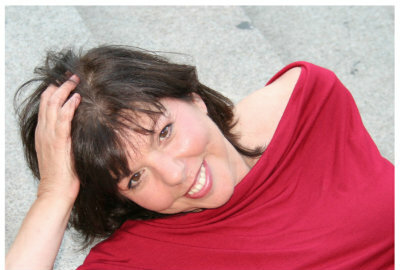 Jane Stuart's debut CD, "Beginning To See The Light" received the very prestigious Blue Chip Award for "Best Jazz Vocals", presented by Dr. Herb Wong for the International Association of Jazz Educators. She received accolades from jazz writers, reviewers and the general jazz community for this CD, her first effort as leader, producer and arranger with co-producer Rave Tesar. Stay connected via Social Media!